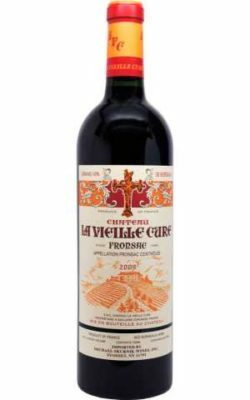 In this vintage, this estate (one of the leading properties in Fronsac) produced an opaque/purple blend of 75% Merlot, 22% Cabernet Franc and 3% Cabernet Sauvignon from vines averaging 25 years of age. Offering beautiful black cherry and black raspberry fruit, abundant chalk, minerality, a medium to full-bodied mouthfeel, and a long finish, this over-achieving, full-throttle Fronsac is a brilliant example of the vintage and of this terroir. Give it another several years of bottle age, and drink it over the following 10-15 years. This sleeper of the vintage should prove to be one of the longest-lived vintages of Vieille Cure to date. Kudos to the ownership.